Last weekend we took a trip to Long Island. Winter is not exactly known as the season for traveling to Southampton, though we thought it was a great time to check out the sites without getting stuck in traffic or dealing with crazy summer crowds It was our first time venturing that far west on the island. 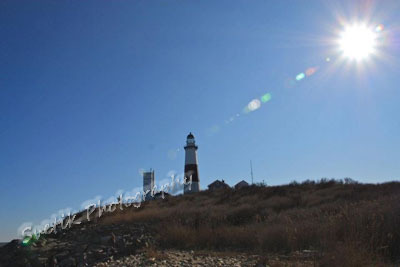 We actually made it all the way to west-most point of LI, Montauk Lighthouse. Another unique part of this trip was that for the first time in all our travels, this venture was not pre-planned. We decided to take the trip a couple of weeks before. This was quite unusual for my wife, who likes to start the research and planning months before a trip and have every stop mapped out. While I did take a look at some of the attractions in out potential destination and we did book a stay at B&B beforehand, the rest was left up to last minute decisions or whatever we find on our phones. And that is where the idea for this type of trip actually originated and was helped with significantly. We both, finally, had smartphones. We were able to look up wineries to visit and their location while en route. There is app for the LI Wine Country that provided most of the information. Other apps we used to plan out the day were the TripAdvisor and Yelp to find places to dine. And Google Maps to track where we are and to plan stops according so we do not drive in circles or unnecessary distance to conserve on gas. During our trip we visited 7 wineries. It was great to see the types that are located in Long Island and sample the variety of wines. This would have been a lot tougher in the warmer months with huge crowds. There were a few folks out and about, probably as sign of the time, though the wait was minimum if at all in most places. Laurel Lake Winery was one of my favorites. They have a great selection with both reds and whites. Our other stops were the Village Cheese Shop, located on Love Lane (that is a real name) in Mattituck, that has great selection of cheese and even better service with friendly and knowledgeable staff. And we also got snacks at the Tate's Bakery, some tasty chocolate chip cookies. Overnight, we stayed at Ele's Hideaway B&B. It was a great looking house, with in-bathroom jacuzzi, beautiful and large bedroom. The host was very nice and so was the breakfast in the morning. - It seemed that LI was the land of Range Rovers, at least during this season, as just about every car on the road was either a Range or Land Rover. There is a Travel App for That: Can I Drink the Water? The last thing you want on a trip is for anything to interrupt the tours and excursions. So keep your travel safe with this interesting app from Two Steps Beyond. The app is location aware so you can quickly look up what the water supply is like nearby, wherever you are in the world. This especially comes in very handy when you are traveling to countries that are not known for their infrastructure. Mexico is one of the countries that most travelers have heard about the water quality. And most folks know to stay away from their tap water and make sure that drinks and ice are made with bottled water. Though there are quite a few other countries where the locals can drink the water as they are used to it, however this same water would do a number on unsuspecting tourists. Can I Drink the Water? has water quality information for over 200 countries. The information is compiled from official government resources, travel reports, and other documentation available to ensure that you travel safe and worry-free and are able brush your teeth and shower without any side effects. - 51% of the profits from this app will be donated to Charity Water, dedicated to bringing clean water to developing countries. ATM Hunter - fast and easy for you to locate the closest ATM and MasterCard®PayPass™ accepting merchants. And because the ATM Hunter is location aware, there’s no need to input your address or current location, no matter where in the world you are. We signed up for Netflix about 4 months ago and it has been a hate love type of relationship. It is great that we can order movies on DVD we have not seen yet. But it is a hassle to get some of the more popular ones and forget about getting a show you like that is also popular as it will be on back order for quite some time. Then there is the streaming service, that we still continue with even though they had the whole debacle of splitting up the services. We have thought on several occasions since then to cancel one or the other. While it is great to be able to stream movies instantaneously, and we able to do it through our TV, the selection has been quite small. After the first couple of months we were caught up on most of the shows and movies we would want to see and did not have many choices for awhile. Notwithstanding, this post is actually about the great benefit for travel that Netflix services can be. On our trip up north for the Turkey Weekend, we had the iPhone and iPad along. And for the first time I tried using the Netflix app away from the house and on the location's wi-fi. It was great. The streaming worked very well and I was able to watch a couple shows. The next day while I was getting my car updated and new wipers installed, my wife watched a movie on her phone while also helping to host a yard sale. She was also very excited to find out that we are able to access and stream movies and show just about anytime and anywhere as long as there is secure wi-fi connection, and also one that has a good reach and not too many other devices using it. As holidays fast approaching and we struggle to come up with the perfect gift for everyone on your list, it’s worth considering that traveling is one of the most past times for a lot of folks. And travel accessories might make a great gift. 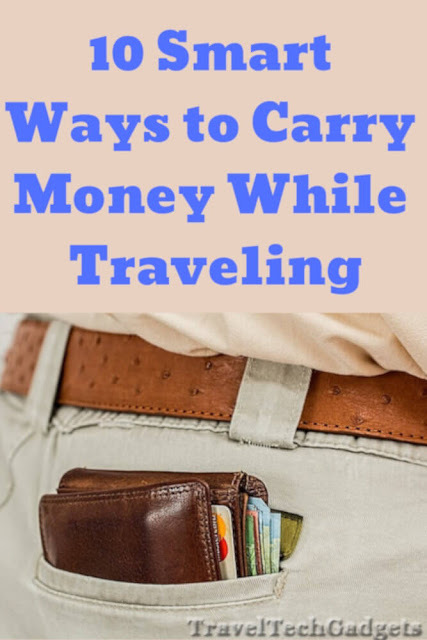 Especially since many travelers have a favorite item or gadget they can’t leave home without. Even if the person on your list is not looking for the latest tech gadget, there are quite a bit of great travel items that would make their day and even year. Noise-Cancelling headphones - Sometimes all you want is a little peace and quiet, or just tune out all the things going on around you. And that is when noise canceling headphones are life enhancers, if not life saver in some situations. Read more: Noise canceling headphones - life saver for travelers? 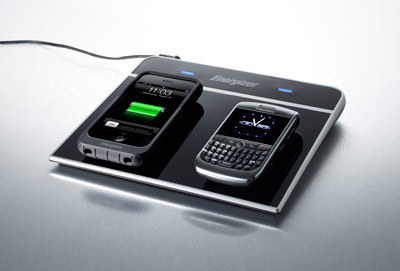 Portable chargers — to provide hours of extra power when the battery runs out on an iPhone, BlackBerry or iPod. Solio Bolt charger - eco-friendly, versatile and packable. The charger has an on-board battery and rotating solar panels, and it can juice up from the sun, a USB port or the wall to power your phone, MP3 player, e-reader, GPS or camera. EBook readers are becoming more and more popular since you can carry with you an entire library for the size of just one paperback. And with with the low price of eBooks and newer and cooler versions of readers coming up, such as Kindle Fire, they area great gift for a person on the go. Smartphone - A smart phone lets you access travel tools such as emails, maps, GPS, compass, check the Internet for hotel reviews etc. For holiday commuting or standing in line, there is no better gadget. 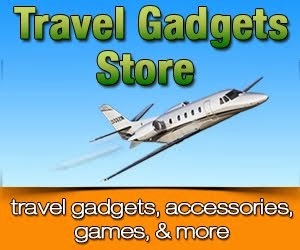 Check out our weekly post: "There is a Travel App for That" for some useful travel apps. Digital Luggage Scale - Take the guesswork out of packing and avoid paying extra fees by finding out luggage weight before check-in. SteriPen - small, light and now rechargeable UV water purifier. Its UV light destroys over 99.9% of bacteria, viruses and protozoa such as giardia and cryptosporidium that might be found in some water traveling abroad. The Pen recharges via a micro USB B port using a computer, AC outlet or compatible solar charge. Other versions use batteries, lithium type are strongly recommended. Digital Travel Clock & Photo Frame - "Love the Digital Travel Clock and it comes with a photo frame. Perfect gift indeed for those people who travels a lot." Amazon Gift Cards - something for everyone. Never expire. Swiss Army knife - its a classic multi-tool. 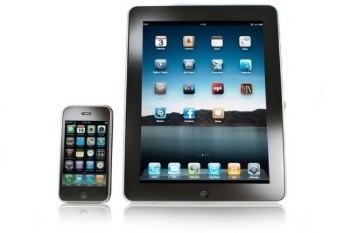 Everything you need and more within one device. This app enables you to locate almost anything nearby, including the nearest ATM, burger joint, medical provider, etc. In some instances, while doing a search, you might not need to even type in what you are looking for as the app comes preset with 700 customizable categories and 2,400 brands. Just tap your way to various things nearby. You can search for recreational activities and categories ranging from medical, organization, emergency, entertainment, travel and attractions. Where To? also has available Augmented Reality, which lets you explore a stunning new way of visualization (iPhone 4 or 3GS only; available via In-App-Purchase for only $0.99 for all devices under your iTunes account, free trial available). Your points of interest will be displayed on top of reality. It‘s more intuitive than ever to check out nearby locations. Can't decide where to eat? This app can help there too. Shake your iPhone and it will pick a good restaurant for you to try. Keep shaking until you find a restaurant you would like to check out. Available on iTunes: Where To? MotionX GPS HD - all the maps and navigation instruments you need for your outdoor life: walking, hiking, sailing, off-roading, flying, geocaching, or exploring, anywhere in the world. Newspapers = Obsolete? or Reborn? "I was on the train one morning. Alas without my Kindle. And as I looked around, I noticed that no one was carrying newspapers on my train. It seemed odd and interesting at the same time. Doing some research and looking on iPad as well as the Kindle store, it looks like while you can get free apps for most of the well known print publications, you would still need a subscription to get the newest version. If you enjoy reading it now, it is a good chance you would go with the digital subscription as well. There are still folks though that prefer, at least for the time being, to hold in their hands a print copy of a paperback or a newspaper. I think it would be at a sliding scale based on generation. For myself, while I like the accessibility and speed of digital publishing, once in awhile I like to have along a magazine rather than an expensive tech gadget that I have to be careful not leave or toss someplace. Recently, Ziff Davis, one of the larger publishers, announced that they will be moving to all digital publication in 2012. It is more likely than not, that others will follow suit. 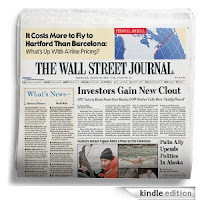 Other large publishers also made news a few months back by putting up pay walls on the digital version of newspapers. While there was quite a bit of controversy regarding the move, it has been relativity successful for The Wall Street Journal and The New York Times. 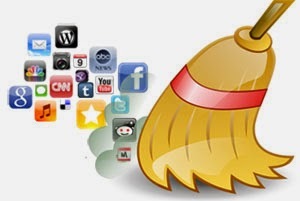 Moreover, there are several applications that have been designed and have gained significant popularity as aggregators of news from well known newspapers and magazines. These apps are thriving since they are presenting articles from various publication within one easy to use interface. One such popular app is Flipboard, which is available for most mobile platforms. So, are newspapers obsolete? I do not think so. Publishing is a very old industry that is meeting the new digital age. And as with most cycles there are always shakeouts. Some will survive and continue to thrive by being relative and providing great content and/or being reborn as digital publishers. 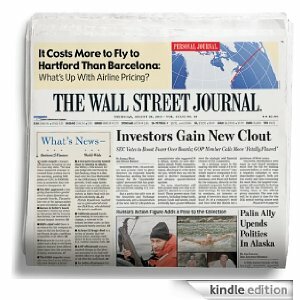 What do you think about the prospects of the newspapers? Trip It Travel Organizer – you’ll never have to dig through your printed, paper itineraries and email again. 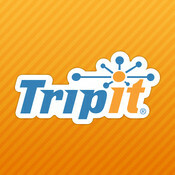 TripIt (on iTunes) can connect to your Gmail (or Google Apps) account to import trip data, or you can just forward itineraries you get from booking sites or airlines and it will organize all the departures, arrivals, and other points during the trip in sequential order. TripIt instantly recognizes reservations from 3,000+ booking sites including cruises, restaurants, concerts and more by determining and looking up the confirmation number. It also syncs with your calendar to keep all the plans up to date. - Saving Grace makes packing easier by showing you not only how many items you’ve already packed, but also how many are left to pack in each category. - The app has pre-set lists for different trip types – winter, summer, activity holiday or a short break. Activities include specific lists for surfing, cycling, golf, diving, fishing, camping etc. We have found the lists quite extensive and detailed. Even my wife, an avid packer, was impressed with all the items listed on the lists. - You can also personalize the lists by swiping in new items or categories or delete one or multiple things at once. - The app also features a readymade list of important stuff to do before you travel - from travel insurance to currency to watering your plants and emptying your fridge. 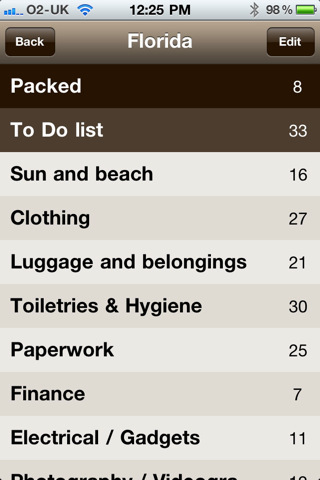 - a packing check list and reminder tool all in one. Designed to cut the stress of packing. 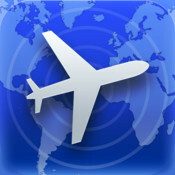 Each Wednesday, starting today, we will feature a new cool and useful travel app. - AllSubway takes the confusion out of traveling underground. The travel app features subway maps for about 128 different cities around the world. There are around 140 maps available for routes in Europe, North America, South America, Africa, Asia, and Australia. - No internet connection required to view maps.